I participated in an Influencer Activation on behalf of Influence Central for Colgate. I received a product sample for this review and a promotional item to thank me for participating. Smiling makes me happy and is one of my favorite things to do. Did you know smiling reduces stress and anxiety and releases endorphins to make you happier? Plus, there is nothing as beautiful as a confident, bright smile. I know I feel better on the days I can show off my smile with pride, knowing that it is dazzling and not having to fear about stains or cracks in my teeth. 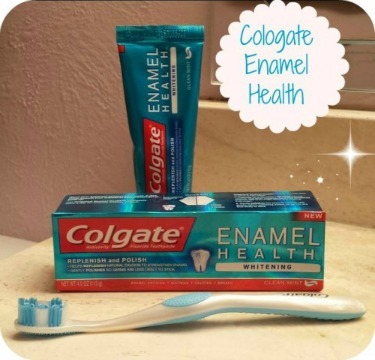 That?s why Colgate Enamel Health is one of my favorite beauty products. No matter how the rest of me looks, or if I?m having a bad hair day, when I use Colgate Enamel Health, I know my smile will be in top form and my happiness will shine through. Since using Colgate Enamel Health, I?ve felt better about my smile. I can feel my teeth gradually getting stronger, so that the extreme temperatures don?t bother my teeth as much. After years of wear and tear, my enamel was wearing down. It feels great to be able to do something about it and restore my teeth back to a healthy state. I?ve also found that brushing my teeth at the right times has made a difference. Instead of brushing my teeth right after eating, especially something acidic, I now brush before and then drink a glass of water afterwards to rinse away the acid. Taking care of my teeth has never felt so good or looked so good! Enamel is incredibly important to protecting your teeth. Besides using Colgate Enamel Health, I?ve also started chewing sugar-free gum when I can?t brush. The gum helps get my saliva going to give my teeth a nice protective layer. It?s an easy way to keep my teeth healthy on the go! Colgate Enamel Health is definitely my new favorite beauty secret. With a healthy and confident smile, I can spread happiness and smile at everyone around me! 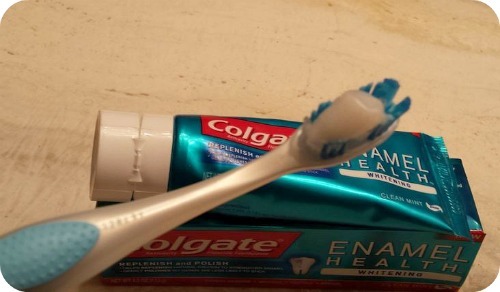 This is really good toothpaste! I like the taste and it really makes my mouth feel fresh. In fact, I am using this brand of toothpaste and my teeth feel clean after using! I haven’t tried this toothpaste before, but I’m a fan of Colgate! I’d like to try and see if I can tell the benefits.